The recent fine imposed by the UK Financial Conduct Authority (FCA) on Barclay’s bank because of the placing of an order by a dealer at the bank for gold at the same time as the twice daily gold price fix was taking place, with the sole purpose of influencing the fix so that he would not have to pay out on an option, highlights the somewhat arcane means by which gold bullion is priced. Twice a day gold bullion dealers from a number of large institutions come together in a secure conference call to conduct an auction that will determine the gold price to be used by mining companies, jewellers, central banks and other dealers in physical gold until the next fix auction takes place. The procedure has been taking place since 1919. 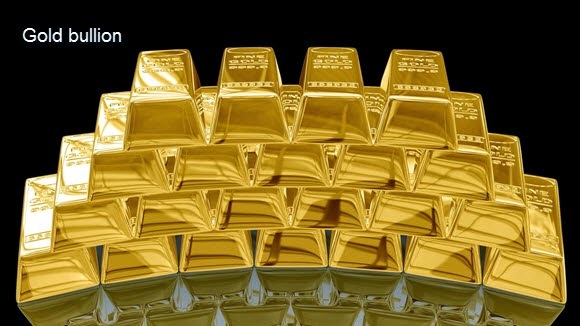 This price will be different to the spot price of gold, which is the value of a contract for gold that is determined by the views taken by market participants on what the precious metal will be worth in the future, and which changes on a continuous basis throughout the trading day. The spot contract is what OmiCronFX deals in when it take a position in gold. There has long been suspicion that gold prices can be and are manipulated, although regulatory authorities around the world are now taking a strong interest in this question with a view to maintaining a level playing field for all. This is welcome. Today is the Spring Bank Holiday in the UK and Memorial Day in the US. This means that Foreign Exchange dealers in the important institutions and hedge funds in both London and New York will not be at their desks. London is the most important global Forex trading market and New York is not far behind. We can therefore expect a quiet trading day.